Completely agree. 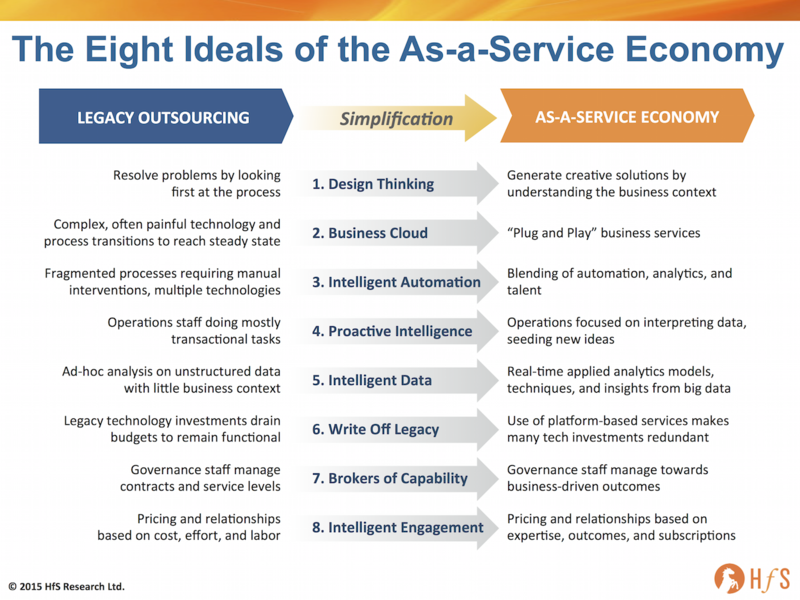 As-a-service is the economy that is beckoning us. I don't say it's the future because it is already here in our regular walks of life as a consumer - be it streaming music, or on demand cabs. And I do see a lot of interest in clients looking at as-a-service for outsourcing. And I see those who can successfully aggregate services will be the winners. The building blocks will be owned by deep specialists who will provide the components (whether cloud based infrastructure, applications or automation tools etc), but the real value will come from aggregators who can seamlessly blend it all together for clients and drive business results. This will thus also require new complex contracting structures for service providers with the component specialists. And clearly new delivery models as well. We are privileged to be a part of the new emerging world of outsourcing. Also facing extinction is the VP and below group that is not aligned to senior management and not paying attention to the pace of external change and competition. Risk-averse is the new risk. Those in Do Not Disturb mode will find themselves with unexpected Wake-Up Calls. There is a short supply of talent that can execute in this new level of ambiguity and complexity. Great opportunities for those who can, diminishing returns for those who can't or won't. "The only route is to invest in smaller deals to build a service delivery platform for future client utility – today’s providers need to develop a 2-3 year plan where they will take on strategic deals at low margin/cost in order to build out the As-a-Service model of the future" - This is practically the most valuable and in-your-face blog from HfS. Kudos for the same. Yes, we all need to understand that this disruption is going to see an accelerated rate of change with IoT and AI. 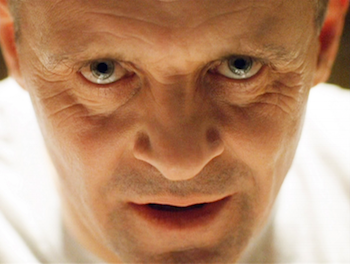 System Integrators have 2-3 years to reinvent or perish. Lastly, legal models within monoliths wrt risk is an area I would like to point out. Most SIs have dealt with pure services in the past. A new economy with "As-a-service" requires manufacturing of "Things" as well, as part of service. That's another wake-up call. Thanks for the same. Nailed it Phil, again, service providers have to organise to win in this new world. One point I see on the client-side is the dissonance between SVP+ and VP- willingness to change providers. I see many clients start renewal process with open intentions of switching, only for incumbent service providers to play on the switch risk and give substantial discounts: more "faster, cheaper" but not necessarily "better" - and often lacking tech innovation. The VP- team, procurement-led, find there feet getting colder as the process progresses and take the easy path... Our experience has seen c.10 per cent switching. As a service provider these are tough odds to back when 5/6 businesses are competing for a low win rate. Any thoughts here, Phil? Somewhere in a galaxy far far away. Obi-Wan (Sr VP- Jedi shared services) : Master, the trade federation is creating a droid army to continue its focus on battle automation. Some planets are saying that there is no need for Jedi knights and their colourful powerpoint lightsabers. Phil, me old droog, is that picture taken not from "A Clockwork Orange"? Right on point. In my experience, the premier service providers acknowledge the shift and know that there's no time to waste in embracing it. For years, they have been struggling with the disconnect between how much it costs to deliver services and what clients are willing to pay - even with offshoring, even with shared services, even with some automation... 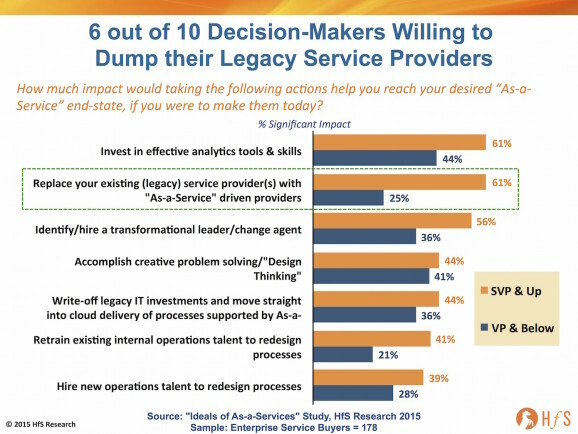 There is no small amount of organizational pain to be experienced in going from legacy models to "as-a-service", to remove the silos and shift the very foundations upon which these businesses have been built. As it impacts every aspect of operations, especially with regards to talent, we'll see that some areas will be quicker to adapt than others -- but the change is happening now.